In vSphere 6 you can mark local disk as SSD disk (or we can say tag). If you’re planning to activate VSAN, you’ll need some SSDs, at least one per disk group. And you’ll need at least one disk group per host. There is a new feature which is part of the VMware VSAN 6.0 announced yesterday and this function allows to tag (mark) disk as SSD from within the UI via the vSphere Web client. Not via the vSphere Windows client. I think it’s a pretty cool and I wanted to show you the screenshot from my lab. Previous release of VSAN (1.0) present in vSphere 5.5 needed to go to the CLI to do that. If you haven’t read the whole detailed post about VSAN 6.0 you missing out. This is still the beta build I’m using as the vSphere 6 bits haven’t been available yet. I’m running nested lab in my VMware Workstation 11. The lab runs on my desktop Whitebox with 64 Gb RAM. I know it’s a bit overkill, but I struggled with RAM in my previous built so I went to the maximum straight away. I’m showing the UI with new web client which is way faster than the one in 5.5. Still, you’ll need a Flash to run it… -:(, but something tells me that it will change soon and HTML 5 only UI will definitely sell us all to use Web based UI only. So How to Mark local disk as SSD disk ? Connect to your vCenter > Go to Hosts and clusters > Select a Host > Select disk which you want to tag as SSD. You can click to enlarge. This brings a small warning window saying that you might deteriorate the performance of datastores and services that use them, but if you’re sure on what you’re doing, then go ahead and validate on Yes button. As a result, after few seconds (without even refreshing the client’s page) the disk turns into a SSD disk… It’s magic, no? It works also the other way around! When you need to tag a disk recognized as SSD disk back to HDD, you can. The icon is not the same… check this out. And again, you’ll wait few seconds and the disk became a “normal” HDD… very convenient when creating a lab environment. But I’m pretty sure that the VMware folks did not enable this feature to play with it in the lab but to save precious time during deployments! You might wonder what’s all the icons present on the bar along with the Tagging button, no? I took another screenshot showing what else you’ll find there. In VSAN 6.0 you can first identify the disk through the UI and also on the physical system. In fact it’s possible to turn the magnetic-disk’s LED ON or OFF… so you can identify the disk in case you want to replace it. 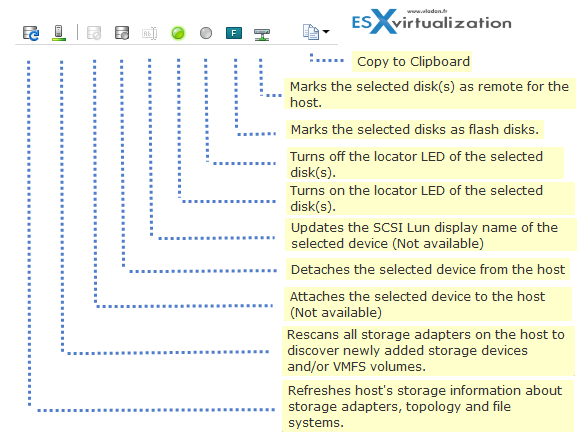 ESXi is sometimes unable to determine whether certain SAS devices are local or remote, that’s why the button to tag selected disk as local is useful too as otherwise you would have again had to go to the cli and change the claimrule so the disk would be seen as local for your host. The Taggin (marking) disks as SSD or HDD is very usefull. It’s a time saver. And this is just the first function (very usefull IMHO) that is present in VSAN 6.0. We will continue to report on other functions/features of VMware VSAN 6.0 in other articles on this blog. Stay tuned. 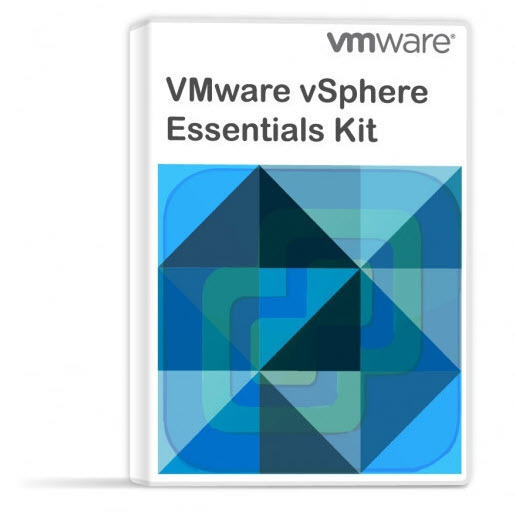 Check the vSphere 6.0 page back for updates! Now when the NDA is over we can talk freely on what in (even if the final release is not available). Did you like this post? Don’t hesitate to share with your peers via your social media channels. And the logs says what … ? Digg the logs first, perhaps you’ll find out? When I tested this on 6.0 GA back in march it worked. hi did you use that disk as syslog location? unable to reconfigure the disk claim rules. Flash disk is one thing, SSD is another thing.